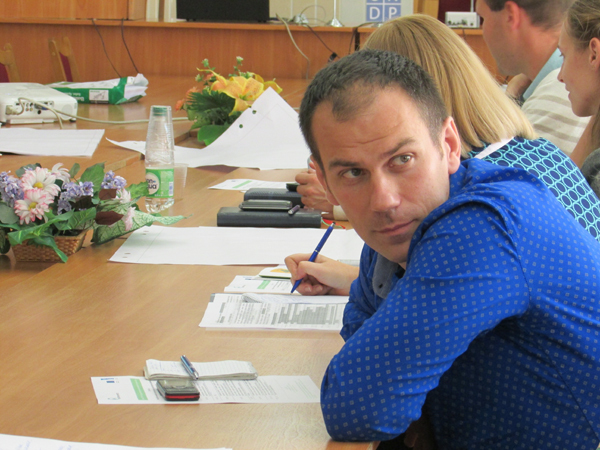 A practical training on development of project proposals to implement initiatives solving problems at local level was held within the framework of ODB Brussels programme "Clearing House" in Vitebsk. 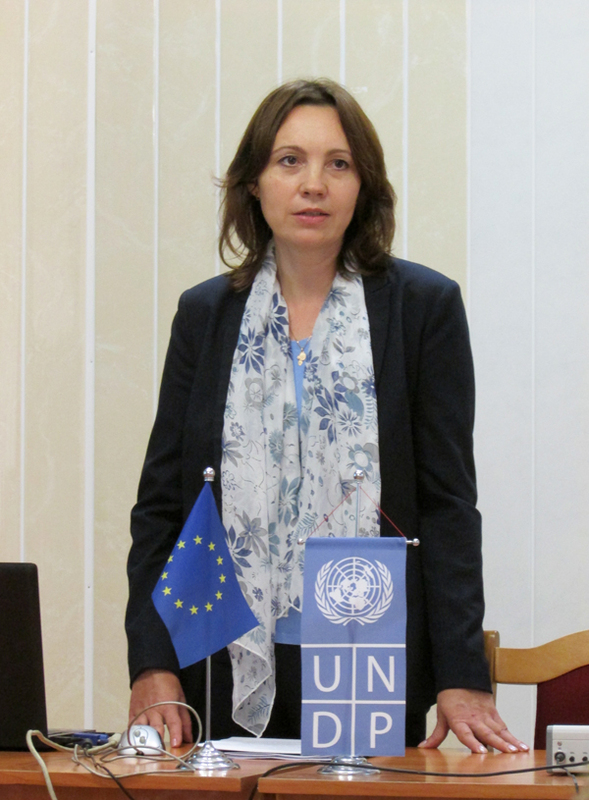 The event was organized within the framework of the EU-UNDP project "Support to Local Development in the Republic of Belarus". Participants included representatives of local authorities, private businesses and social organizations. Natallia Adamchyk, coordinator of contests of local initiatives, EU-UNDP project "Support to Local Development in the Republic of Belarus"
In the 1st Contest of Local Initiatives, which was held within the framework of the EU-UNDP project "Support to Local Development in the Republic of Belarus" with financial support from the European Union, 5 pilot districts were selected (Dokshytsy, Glubokaye, Braslau, Talachyn and Polatsk). These districts will pilot territorially oriented development in the region, and initiatives to solve local problems using local resources will be implemented in accordance with the development priorities of the specific territory (taking into account its specific features, geographic characteristics and potential). 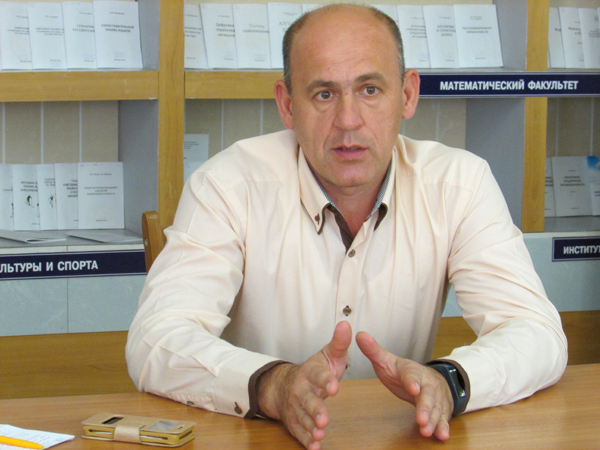 It is planned to allocate 87.5 thousand euro to support grassroots initiatives (those that are introduced by local communities and organizations and not by authorities) in each of these districts. Within the framework of this project, a local initiative can receive up to 25 thousand euros. 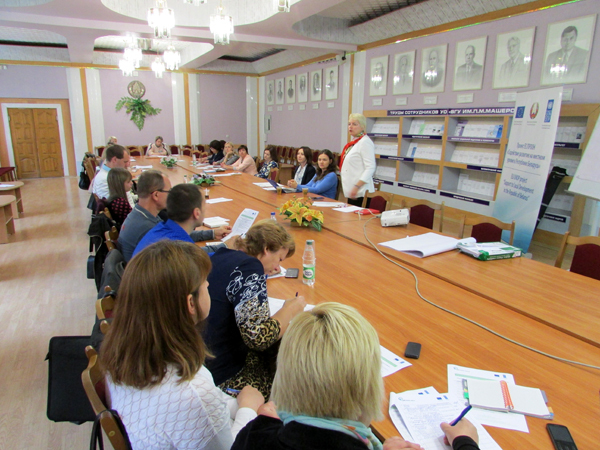 The Vitebsk training brought together more than 20 participants, including representatives of local authorities, education institutions and social services. 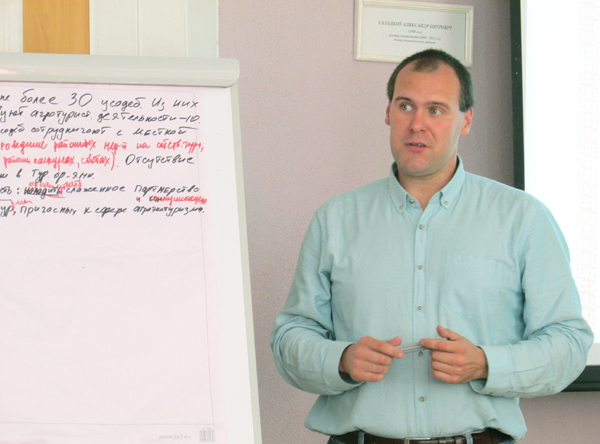 According to Viktar Eroshau, regional coordinator for Vitebsk region, EU-UNDP project "Support to Local Development in the Republic of Belarus", project management was a new concept for many participants of the training. Viktar Eroshau, regional coordinator for Vitebsk region, EU-UNDP project "Support to Local Development in the Republic of Belarus"
"Vitebsk region has the "slow start" effect, because for quite a while now there has been virtually no project activity in the region, whereas the southern regions began implementation of Chernobyl programmes back in the 1990s, so they have been gaining expertise, and you do not need to explain to people there what projects are all about. 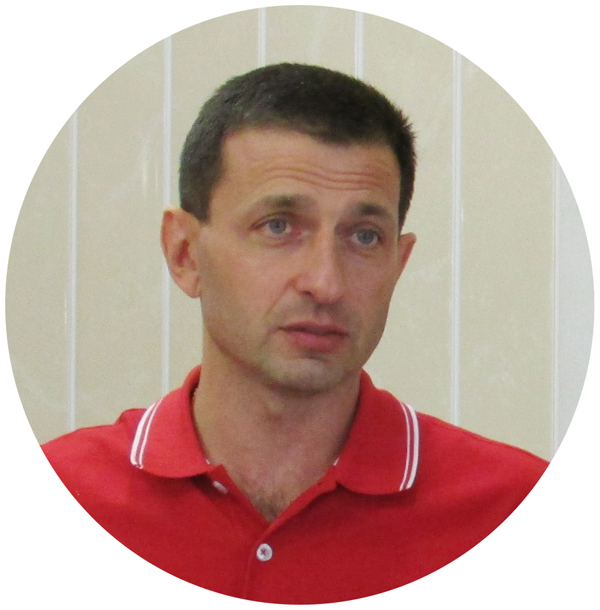 In Vitebsk region, one needs to take into account how novel it is for many people. 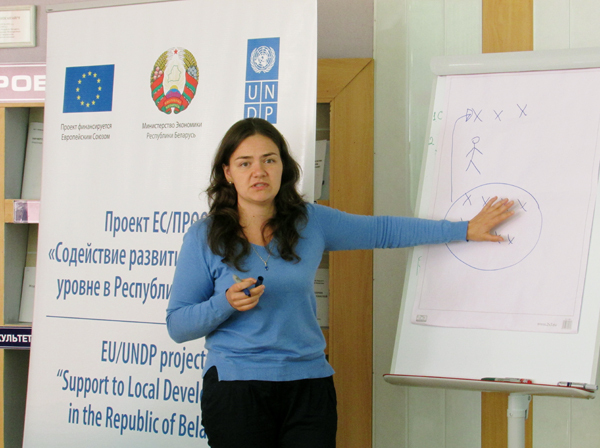 The project itself is a purely regional one", explained Viktar Eroshau, adding that participants of the training can count on consultation assistance from regional project coordinators at the local level. 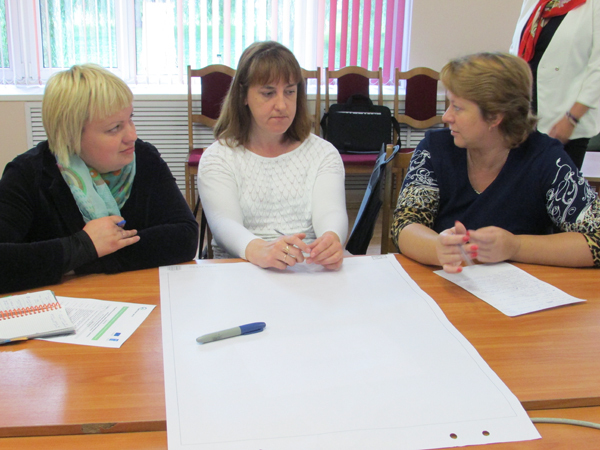 At the same time, in the opinion of Anna Baranouskaya, Clearing House programme consultant, participants of the training in Vitebsk took an active part in the event and put forward "solid project ideas". Many proposals were about solving local problems in healthcare, development of amateur sports, music education, etc. According to the expert, representatives of pilot districts in the Vitebsk region need to take into account the TOD approach, as well as the development priorities of these territories. At the same time, resolution of local problems largely depends on engagement of local businesses, organizations, communities and residents. Andrey Davydzenka, regional coordinator for Vitebsk region, EU-UNDP project "Support to Local Development in the Republic of Belarus"
Igar Zagrekau, regional coordinator for Vitebsk region, EU-UNDP project "Support to Local Development in the Republic of Belarus"
You can get consultation support on how to develop proposals for local initiatives through the Clearing House programme of ODB Brussels. Request you free consultation here.